The ANN LETITIA RUSSELL was the longest serving Lifeboat at Fleetwood saving over 158 lives. In 1938, she was built at Groves and Guttride, Cowes, Isle of White. She served at Fleetwood from 1939 until 1976 playing an important part in Fleetwood’s proud Maritime heritage. She was involved in numerous rescues including 1 silver medal rescue and 1 bronze medal rescue and helped save over 158 lives. Once decommissioned, she was used for a variety of purposes including a period in Southern Ireland as a fisheries protection vessel. 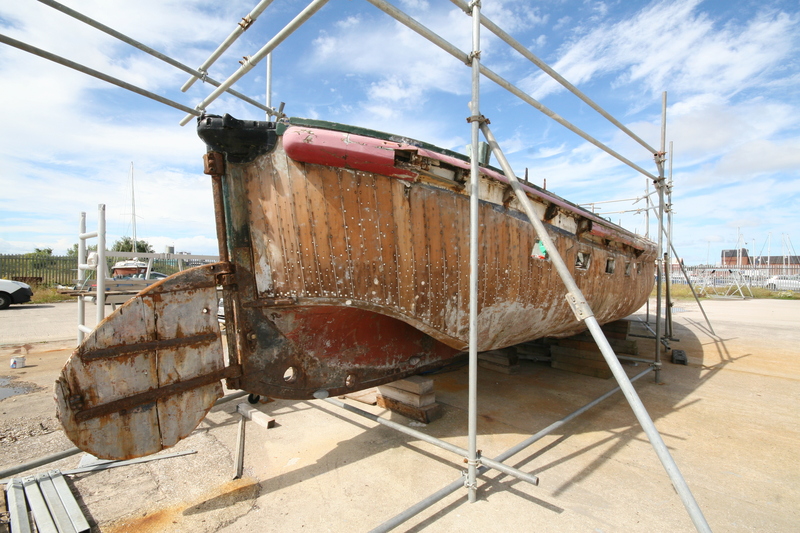 In 1986 she was converted to pleasure craft and eventually arrived in Lowestoft Marina where she was used as a houseboat until the owner at the time offered to donate the vessel back to Fleetwood on condition that she was not sold but restored and put on public display to tell people about her history. 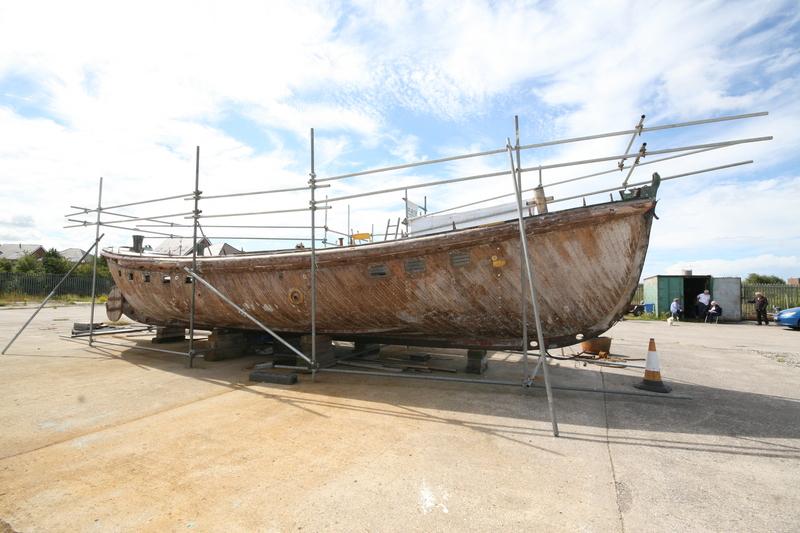 She is now being restored to her original condition by the Ann Leititia Russell Rescue Group. 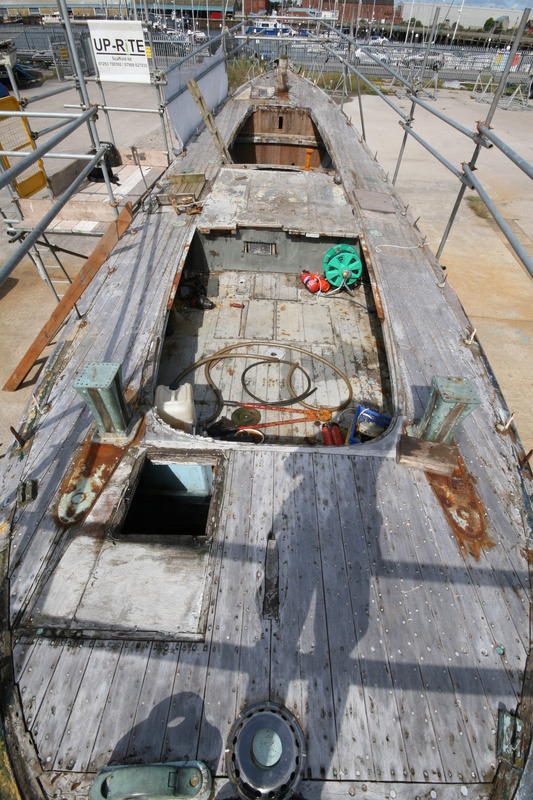 All non-lifeboat conversion works have been removed and she requires a replacement canopy, as well as some replacement deck and frame works and a complete repaint. A grant of £1000 was awarded to the group in 2015 to cover the cost of her being transported back to Fleetwood Town Council.